Make a difference. Make dinner. This Instant Pot Paneer Biryani is the gateway dish that can get you into Indian cooking at home. Browned onions, firm cubes of spiced paneer, and aromatic Basmati rice cook perfectly together in less than an hour using the Instant Pot. I want to help you make a difference… by making dinner. Cooking meals at home can have a positive impact on health, relationships, community, and the environment. Here you’ll find meal planning tips and tools, meal prep plans, tasty recipes, and recommendations for useful products that can help you save time in the kitchen and enjoy cooking more at home. Sign up to get the latest recipes and updates straight to your email. Want to start or grow your food blog? 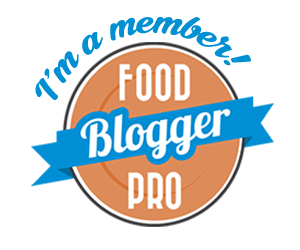 Food Blogger Pro’s online courses, live Q&A events, exclusive deals, and helpful and positive community will save you time and help your blog grow faster. Have a question about Food Blogger Pro membership? Send me an email. Who doesn't love pretty food pictures? I created this site to help you make a difference… by making dinner. Cooking meals at home can have a positive impact on health, relationships, community, and the environment. On this site, you’ll find meal planning tips, meal prep plans, tasty recipes, instructional articles on cooking, and recommendations for useful products that can help you save time in the kitchen and enjoy cooking more at home.